The new all inclusive fitness program that will change your mind, body and soul. 12 weekly Styku 360 degree body scans to analyse results, keeping you on track. Exclusive discounts across the club and on merchandise. 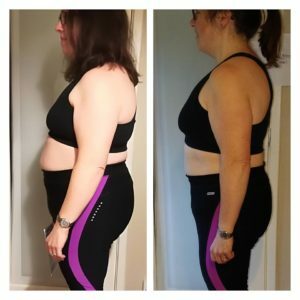 Helena lost 3.5kg body weight and 2.7kg of FAT! Helena worked really hard with her training, nutrition and daily habits to reach this amazing transformation. Helena dropped 2.9% body fat and lost 8cm around her waist alone. A total of 32.2cm over her entire body. All this in just 8 weeks of the X-Force Academy! * Helena was the female winner of the 2018 8 Week challenge. 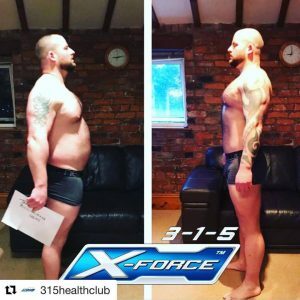 I hadn’t really seen any results in my weight training however once I started using X-Force I could physically see my body adapting. My shoulders became wider, my arms got bigger and I could see my abs showing through. If there was ever a sign that my training was working, that was it. 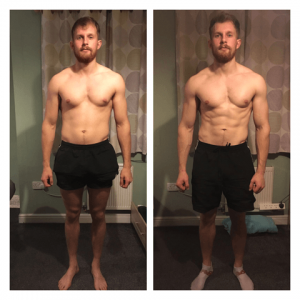 My mental resilience of pushing through the pain barrier had also increased with the support of Lee helping me to achieve additional reps when I had nothing left in the tank.